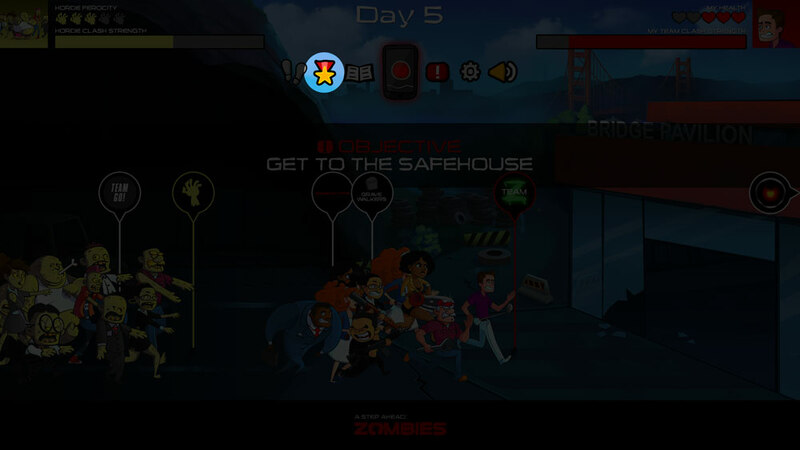 To check the score, click on the SCORE icon on the A Step Ahead: Zombies game board. On the scorecard, you can view a detailed breakdown of your team or other teams, as well as select time periods by day, chapter and episode. Simply use two dropdowns in the upper-left to choose who you want to view (All Teams, My Team, All Individuals, Other Teams) and the timeframe you want to view (Today, This Chapter, This Episode, Past Days). 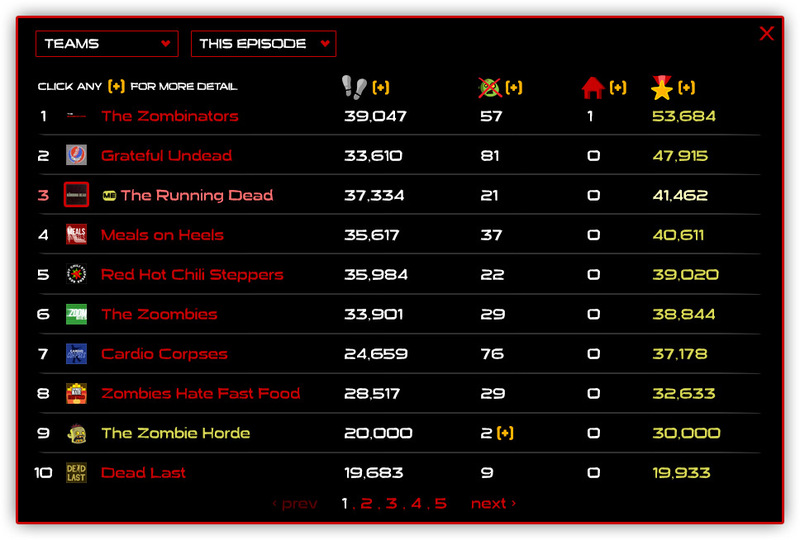 In team views, you’ll see the team name and icon, the team’s steps, zombie kills, safehouse bonus, and total points. In the individual views, you’ll see the individuals’ steps, zombie kills, and health. Human players who have turned into zombies will display on their human teams, but without stats, as once turned their stats count for the Zombie Horde. Anywhere you see a gold [+] click for an explanation of how the points are calculated.